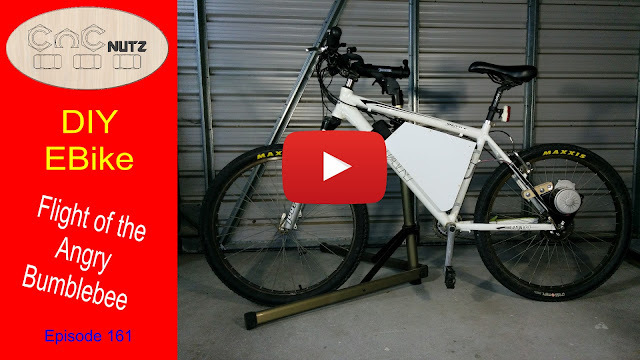 Welcome back to the third and final part of the Ebike build. This episiode I make the battery box and get everything connected. the box proved to quite challanging despite being such a simple thing. Mostly because to the lack of mounting points up the side and the triangular shape of the cavity. Depending on how your bike is constructed it could be a very easy task indeed. The bottom peice is made using moulding toolpaths which is a great way of creating complex mouldings in a very simple manner. So long as you create an accurate shape for the job and and orientate the mould correctly you will get exactly what you are looking for. Vectric did an excellent job in adding this feature. You need VCarve Pro 8.5 or later. Is is also a feature in Aspire. In the future, but not yet, I will be moving the motor to under the bottom bracket and converting it to a mid drive to see what the difference is. Something for another day. I will have a play with it as it is in the mean time and see how it goes for me. 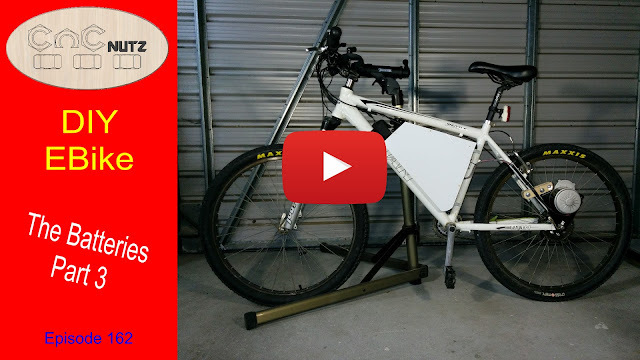 I hope you have enjoyed this little project series and maybe you will look at converting your own bike. There are many different kits available all with their advantages and disadvantages. Mine is the cheapest and by no means the best or prettiest option. It does however offer different options for mounting and allows someone without much spare cash to get their feet wet and see if they like it. If you haven't already seen the initial run of the bike then here is the video that shows how it goes and my thoughts as we go.